These Honey Glazed Veal Chops are seasoned with a hint of lavender. 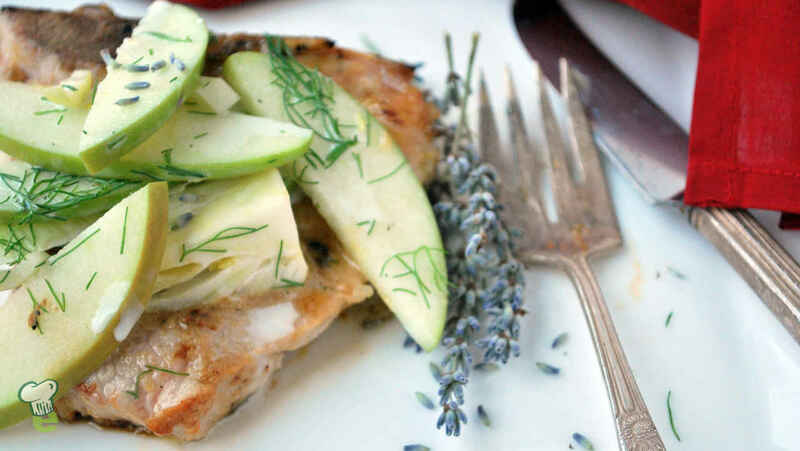 The mild, fragrant flavor of lavender makes this easy dinner special. You can find dry lavender in select supermarkets. In a skillet, heat grapeseed oil over high heat until hot. Season both sides of veal chops with salt and pepper. Add veal and cook until lightly browned on each side, about 2 minutes. Meanwhile, in a small bowl, combine mustard, honey and lavender. Set aside. When veal is browned, pour honey mixture over veal. Reduce heat to medium and cook for 4 minutes more, or until cooked through. Remove veal chops from heat. In a large bowl, combine yogurt, apple juice and vinegar. Add fennel, apples and fennel fronds. Toss to coat and drain excess dressing. Serve veal chops topped with apple-fennel slaw.